Affirmation: I am strong. 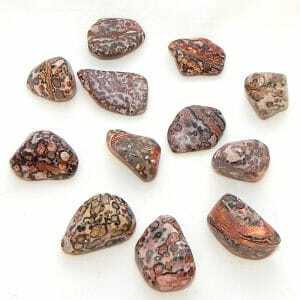 My inner core is powerful. I am physically fit, mentally focused, and emotionally balanced. Vital life force flows vigorously through me, providing me with the endurance to remain strong in all areas of my life. 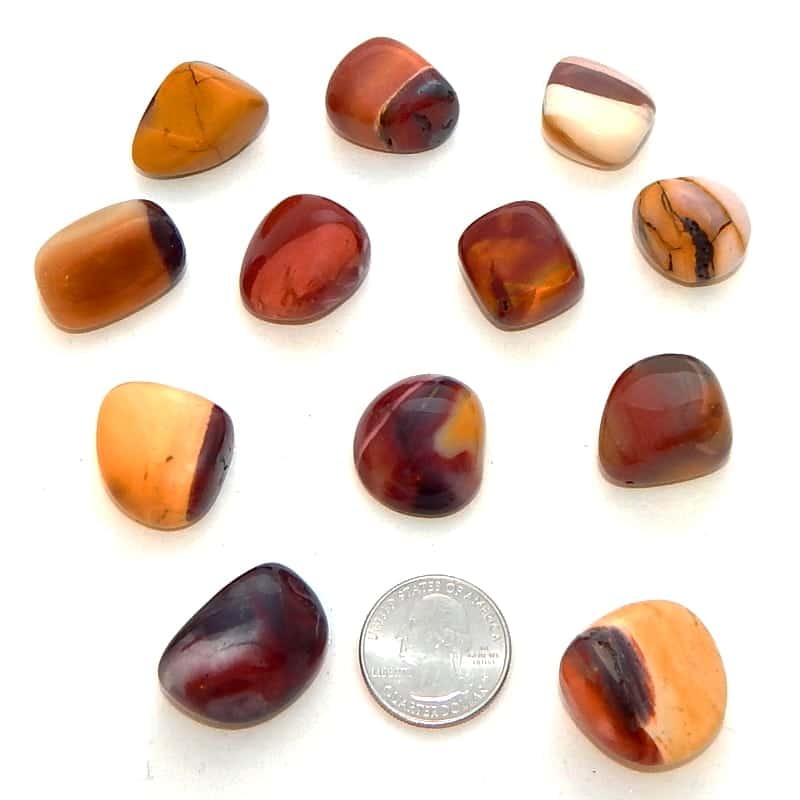 Spiritual uses: Mookaite jasper has a two-fold benefit: the purple-mauve shade realigns your physical chakras with the spiritual being you truly are, and the yellow shade is helpful for increasing the possibility of revelations and realizations during contemplative meditation practice. 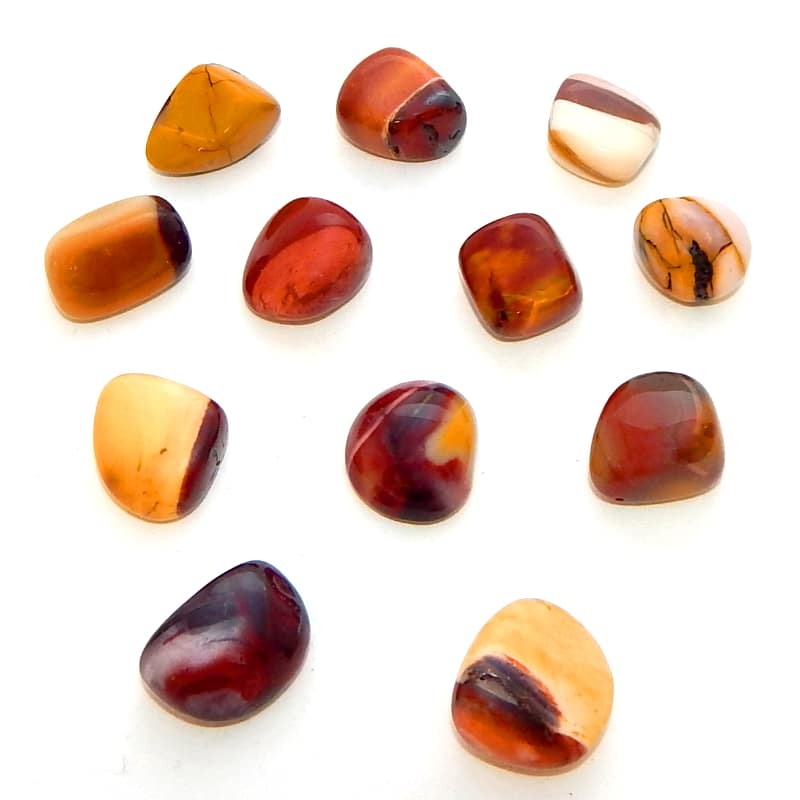 Mental uses: Mookaite encourages you to find a way to keep your mind stable. 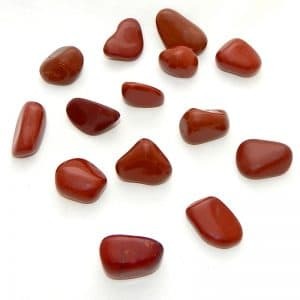 Physical uses: The red vibration specifically in mookaite is associated with the root chakra and the basic survival needs of food, shelter, and water—which translate into the foundation for prosperity.